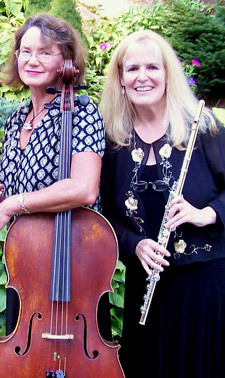 The finest professional musicians make Classic Consort your best choice for your wedding or event. Listen to our sample tracks and hear the beautiful addition Classic Consort could make to your special day. Special requests? Absolutely! If you have special music requests, or want to feature a special song, we can create an arrangement just for you. I just wanted to send a quick email to thank you for the wonderful performance by Classic Consort at our wedding a few weeks ago. The music was absolutely perfect...and thank you so much for braving the chilly, windy weather that we faced. We received many compliments about the music - one being from someone in particular who knows his stuff... Keith Lockhart, the conductor of the Boston Pops, was the guest of one of my friends from college. Later in the evening, he told us that he thought the music had been excellent. So I just wanted to pass that along, since I thought you would appreciate that compliment. So thank you again for doing such an excellent job. I would be more than happy to be a reference for Classic Consort for future prospective clients, if that would be helpful to you.